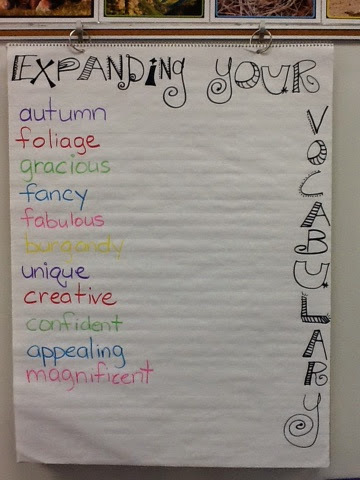 Welcome to PART 1 of my Word Study Share All! 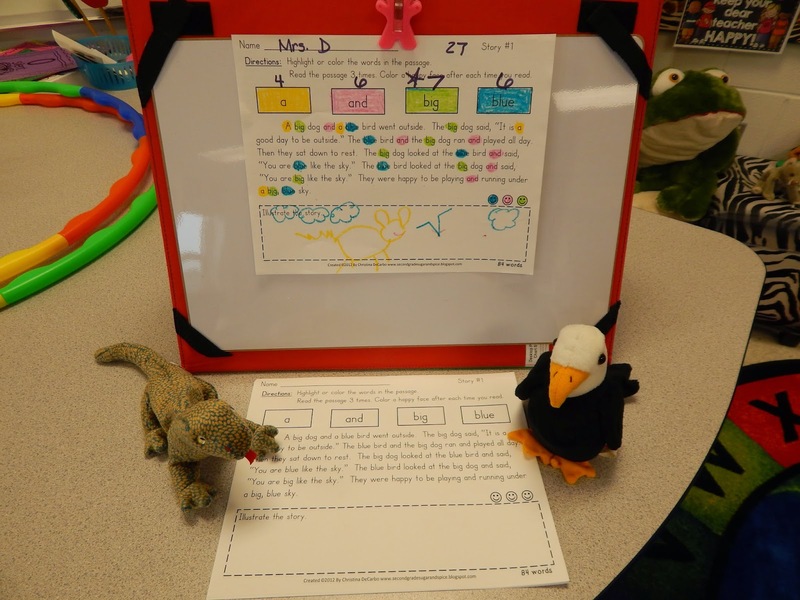 This year, one teaching goal of mine has been to reevaluate what Word Study looks like and have a better understanding of Tier 1, Tier 2, and Tier 3 words in First Grade. 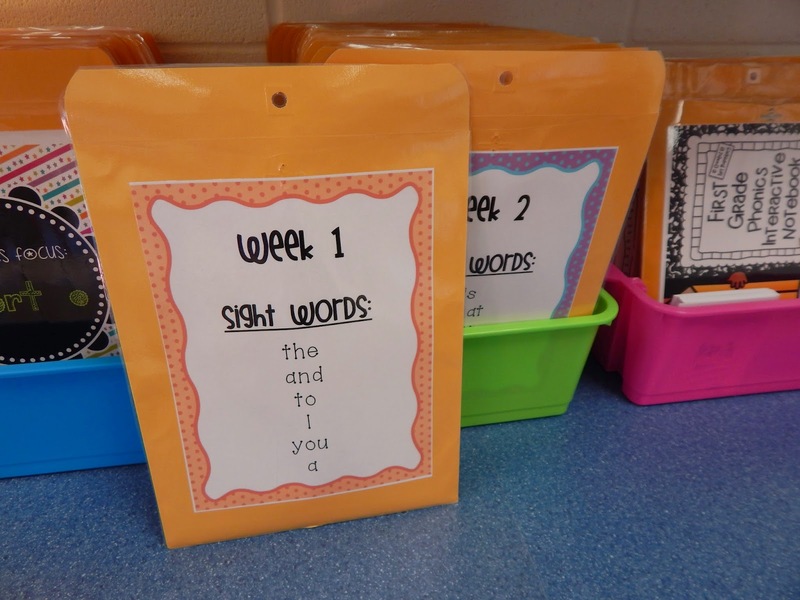 Today, I will be sharing a mix of how I incorporate First Grade Sight Word instruction into my weekly schedule as well as adding more specialized vocabulary into instruction. As I've mentioned before, organization is a must for me. 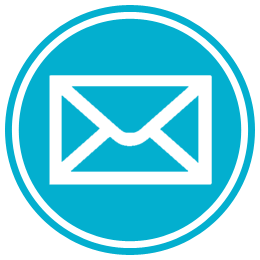 This little planning system works perfect for me because everything is sorted in the envelopes for the entire year. I just grab & go each week! 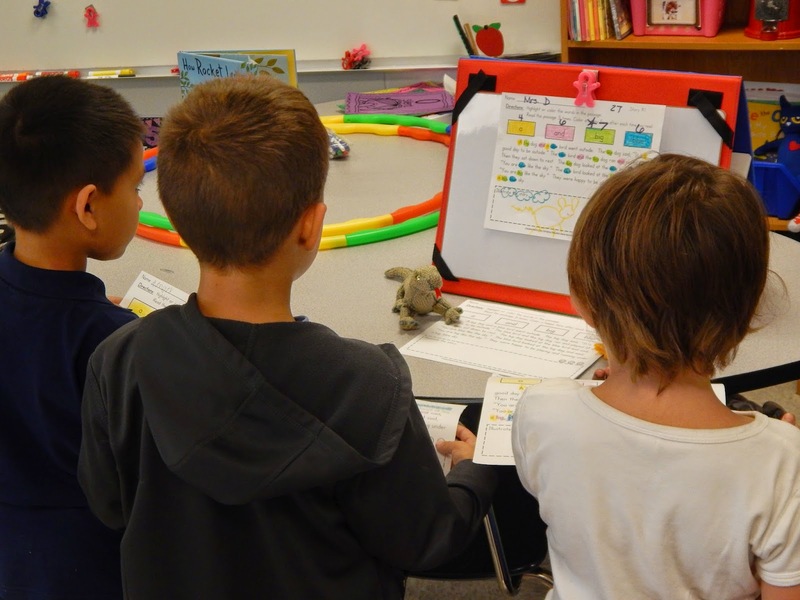 Our first grade district team is currently using a shared curriculum planner to scope out sight words(and phonics skills) for the year. 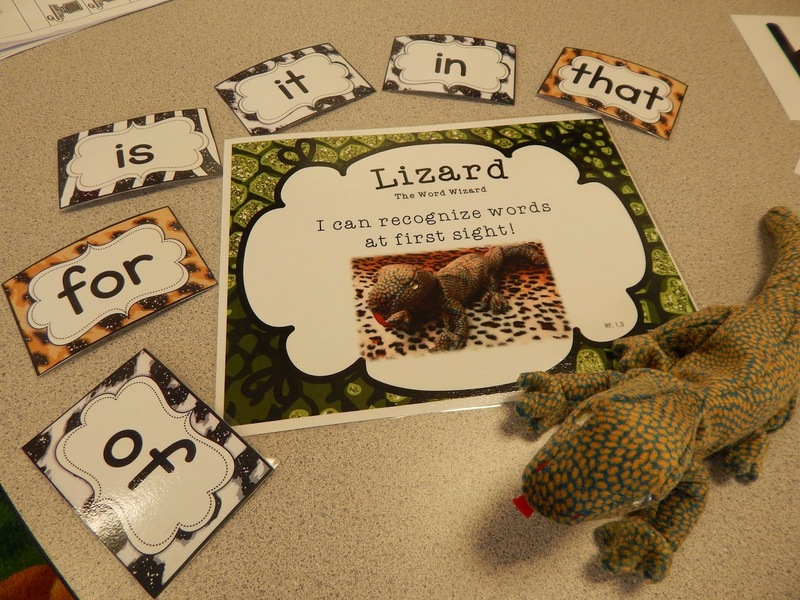 We have 6 sight words to focus on each week. I laminated 30+ manilla envelopes with these weekly headers on the front. Click here to download my header pages! 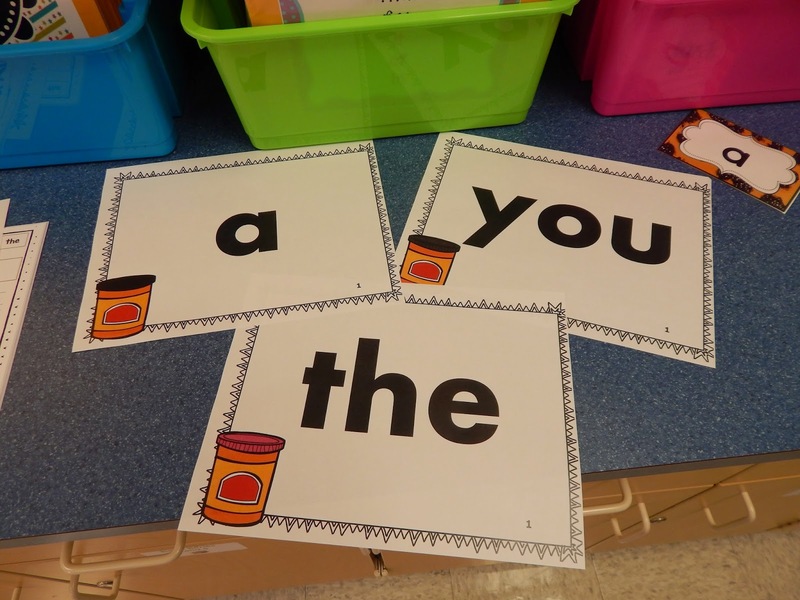 These sight words I consider to be Tier 1 words. 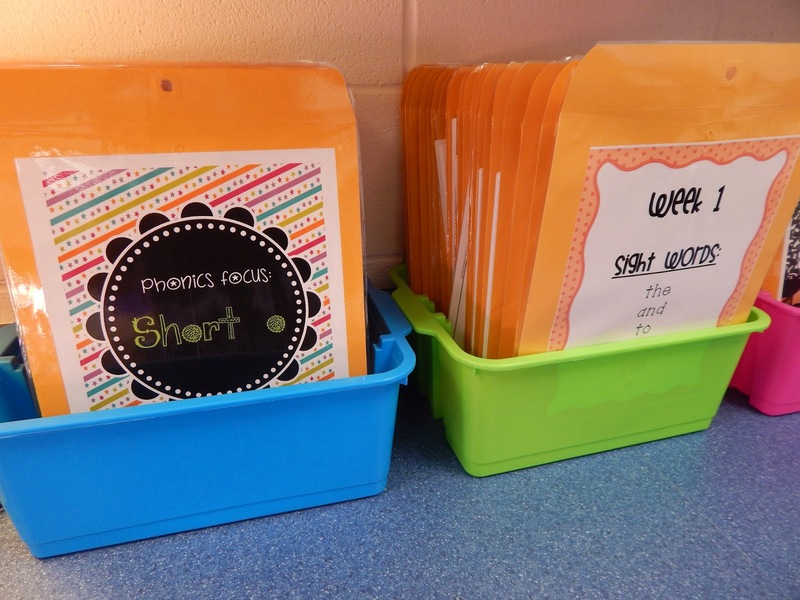 Inside of the folder, I have my word wall cards ready to go for the focus wall, and a master copy of each daily sight word poem and warm-up activity. 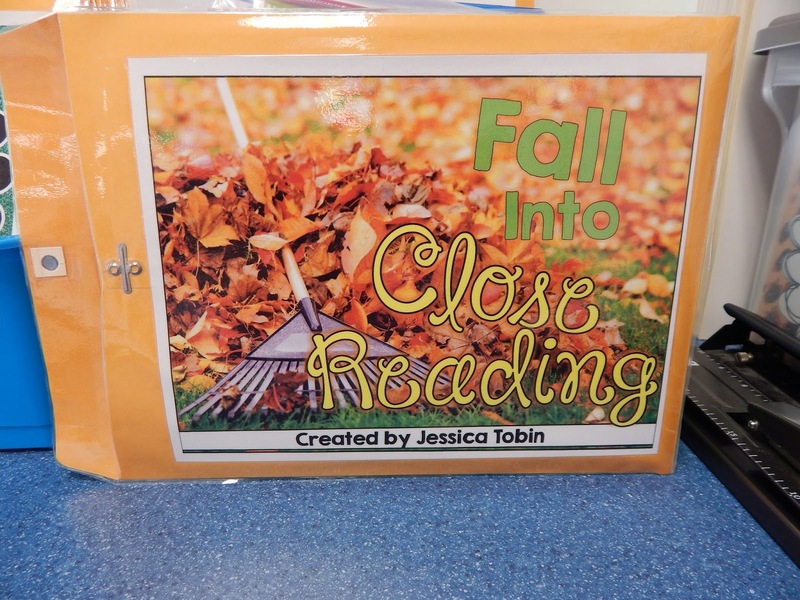 I run the poem and fill-in activity front to back. 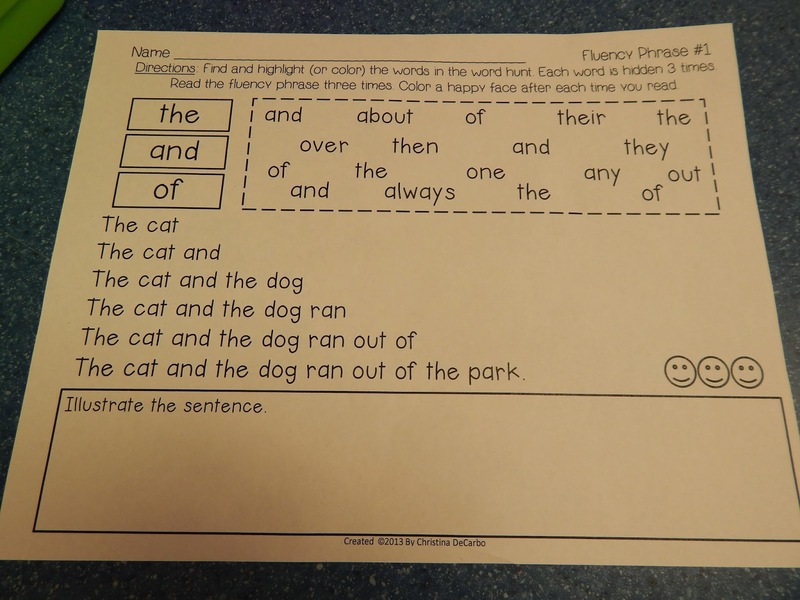 This is a daily morning warm up exercise, so kids will get this done for morning work and have it ready to go for fluency circles later in the morning. 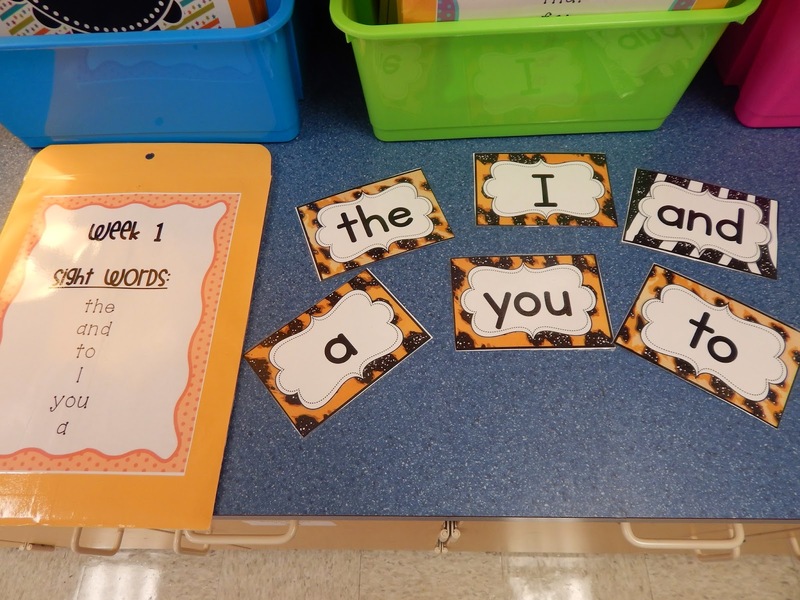 Along with Sight Word Fluency Sentences that align with each of the 6 sight words for the week. 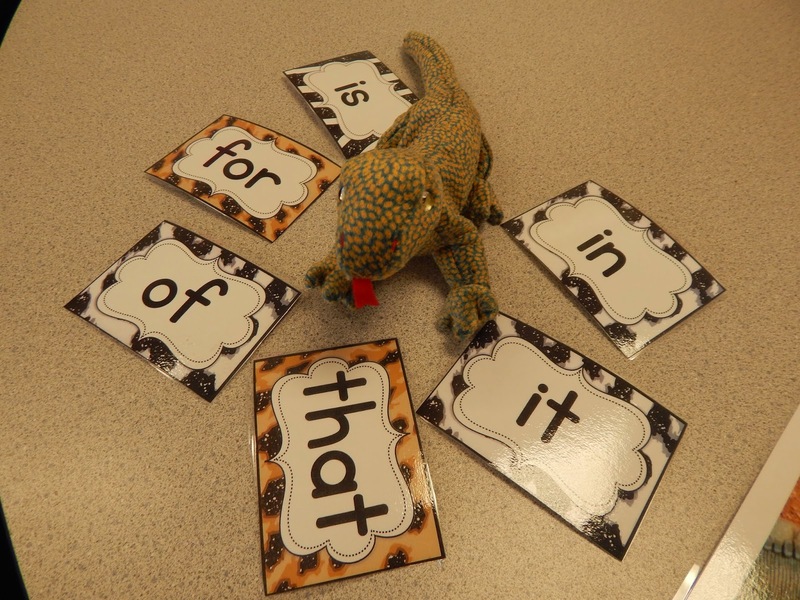 Our CAFE Critter, Lizard the Word Wizard is always excited to make an appearance every Monday to give clues to what our new 6 words are! 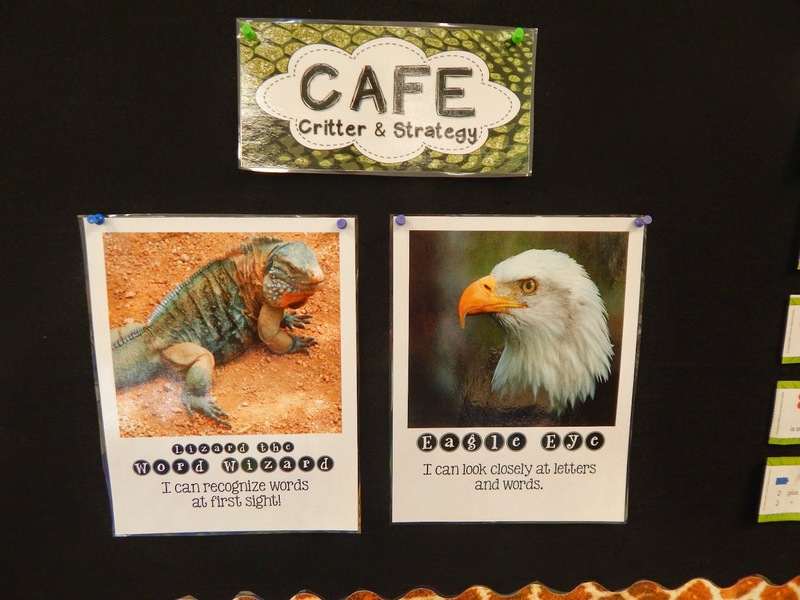 For more details on the Reading Strategy Posters, click here. 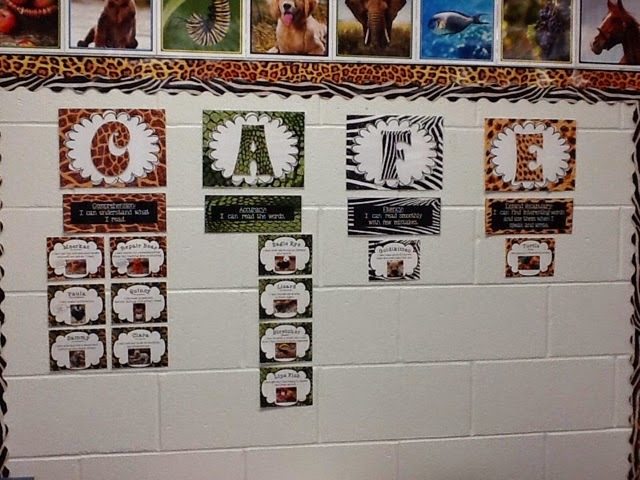 The Sight Words then go up on the focus wall for Word Work practice throughout the week. 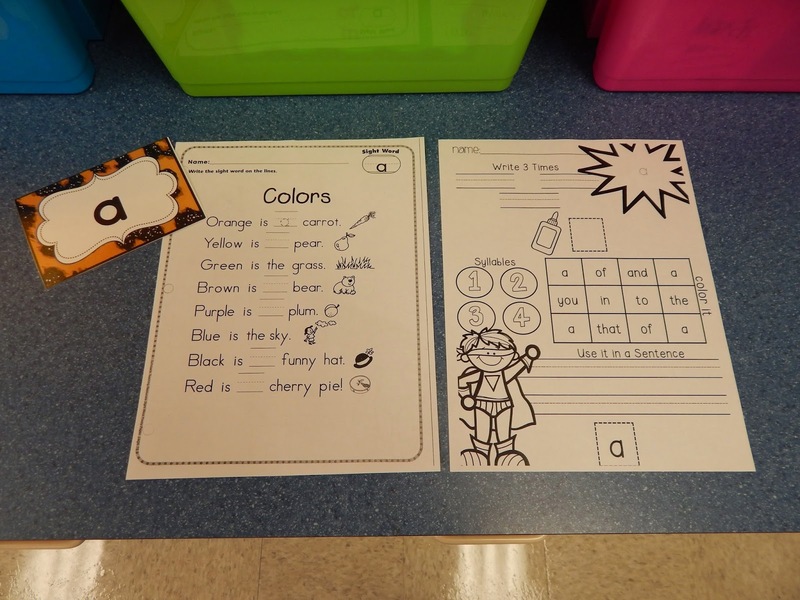 We also use Sight Word Passages in small groups and my kids absolutely LOVE this exercise! 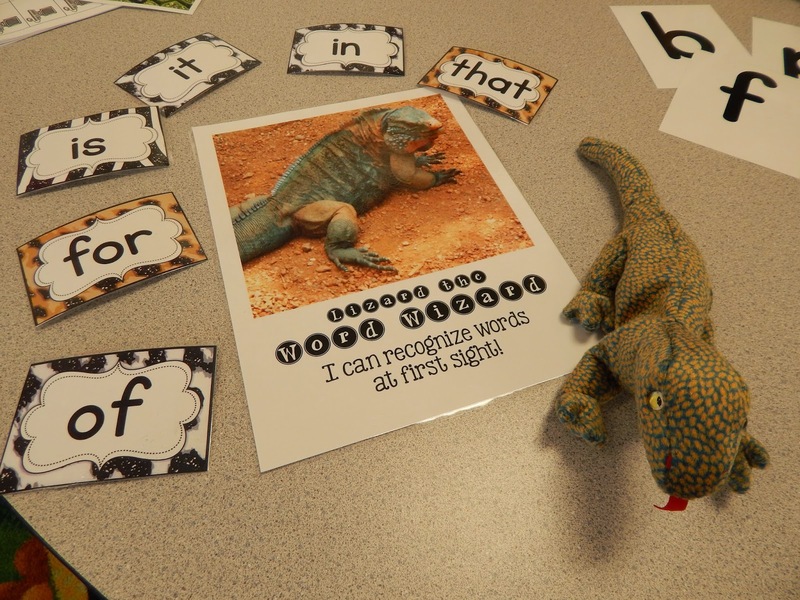 Eagle Eye, another accuracy critter, always flies in to check and see if the kids are "looking closely" for new words of the week! 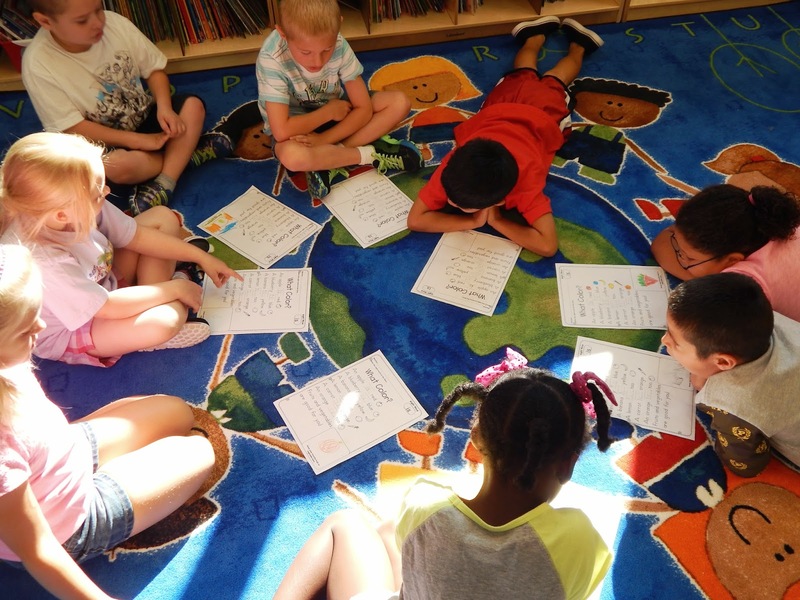 After Morning Meeting, we celebrate our "word of the day" and then I demonstrate what the Sight Word Poem should "sound like" We then break into two teams and get busy reading fluently. 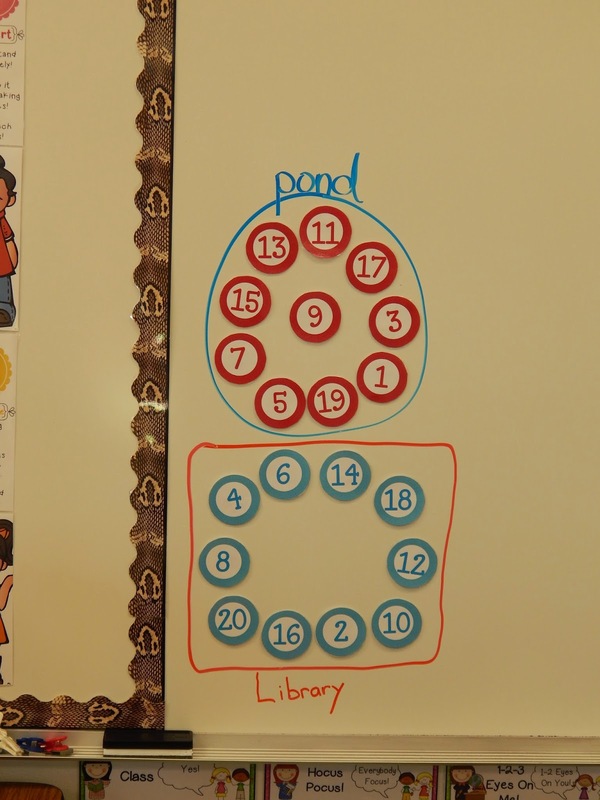 On this particular day, the odd students were meeting at the pond carpet to recite the poem, and then the even students met at the Library carpet to rehearse. After several repeated readings, the team leader of each group will raise a hand to signal they are ready to "ROCK THEIR FLUENCY!" 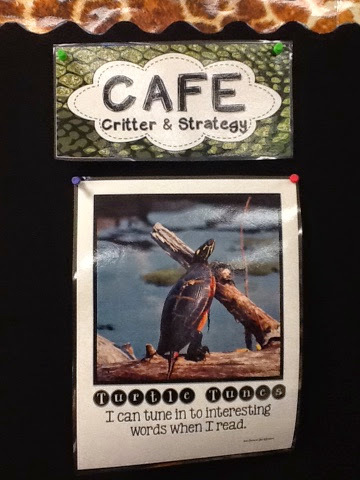 I listen to both teams and the team with the BEST fluency gets a scratch and sniff sticker on their poem! These daily repeated readings of the poem is one of my favorite parts of the day. 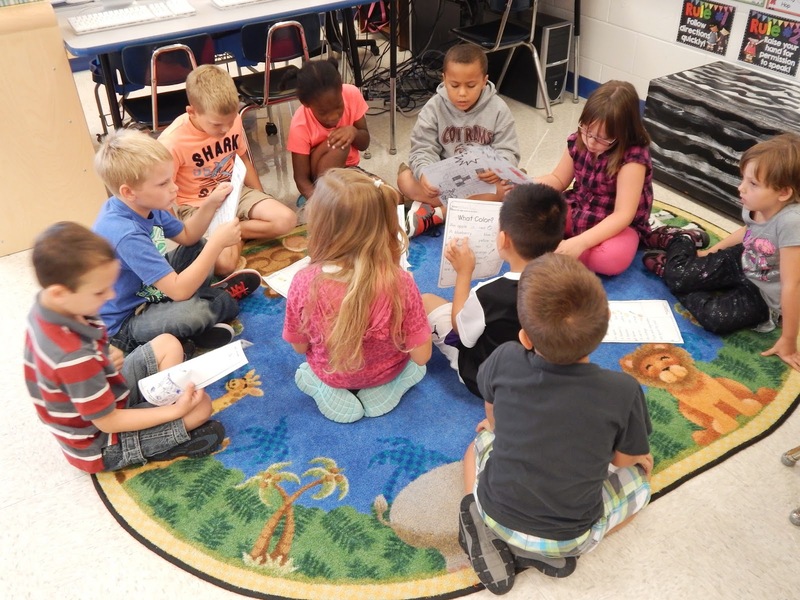 To see students in social circles, working as teams, having discussions about their fluency....sure does make this dear teacher HAPPY! 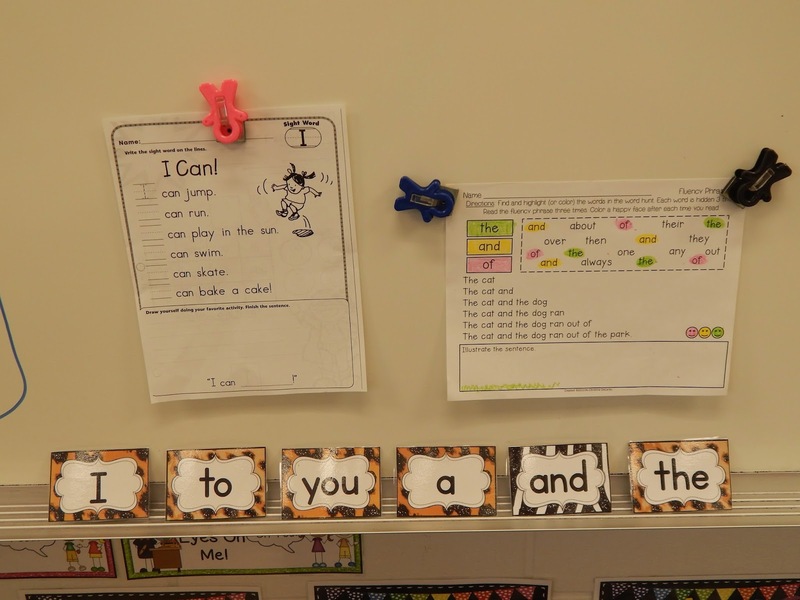 Then, these 6 sight words get hung up on our word wall every Friday. 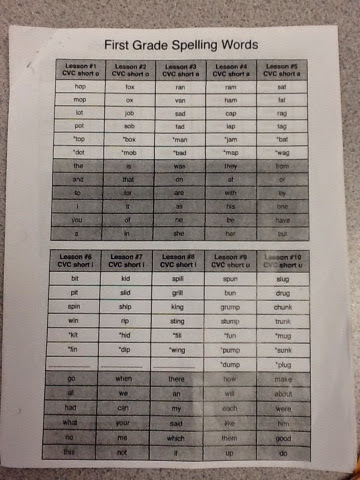 Students also have a spelling test over these words every Friday too! 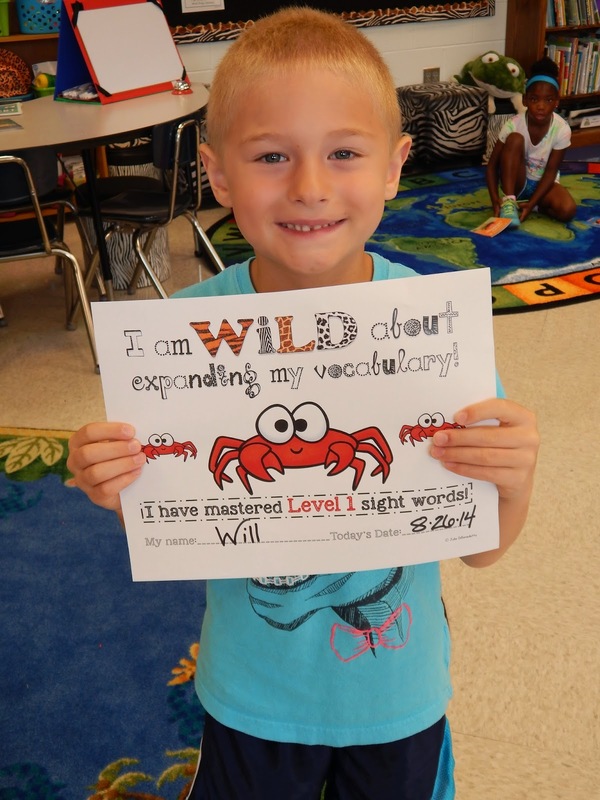 This year I created my WILD ABOUT SIGHT WORDS incentive program and all I can say is....WOW! What a dramatic difference from last year. 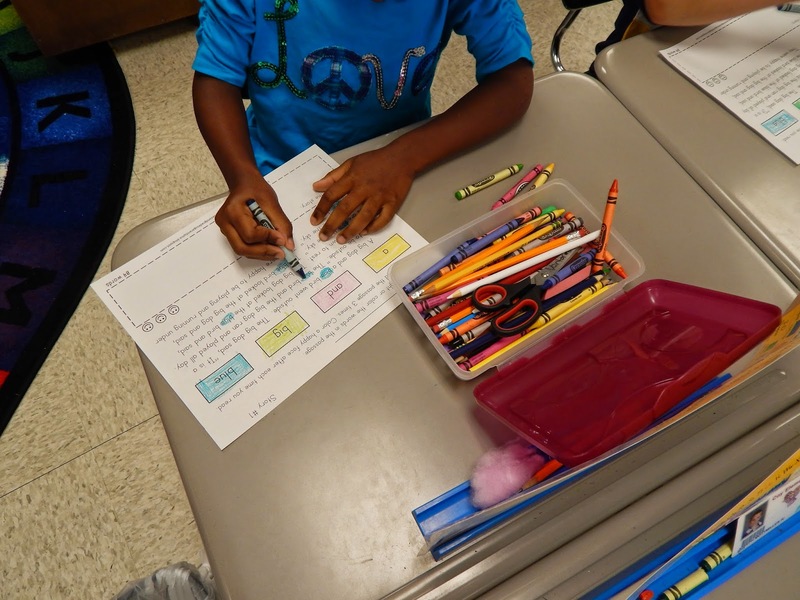 The kids are so eager to master each level and move on to the next! I decided to use FRY words (1-1000). 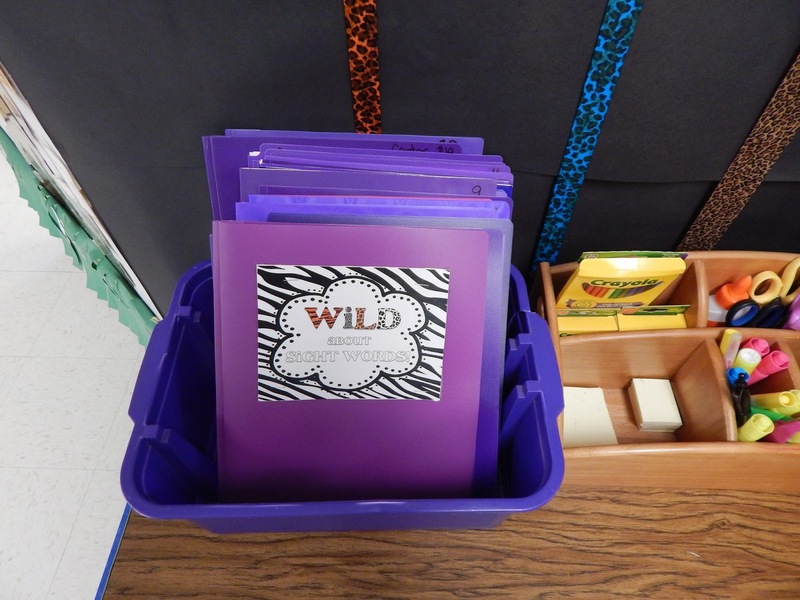 Each student has a purple folder in the purple bin. 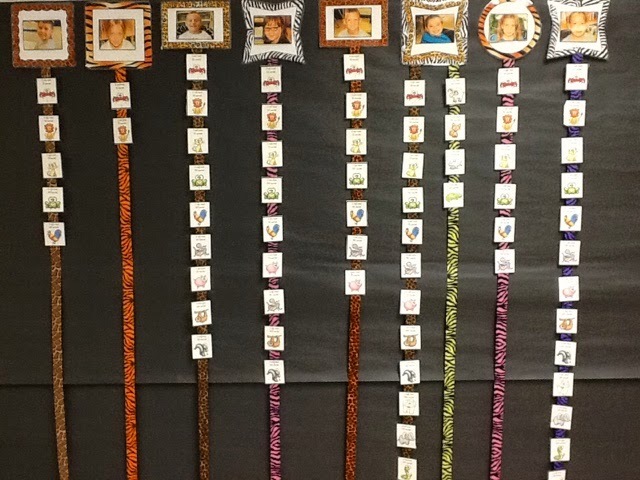 Each week, a parent helper comes in to assess each child. The black tub has awards, word lists, and extra copies inside. 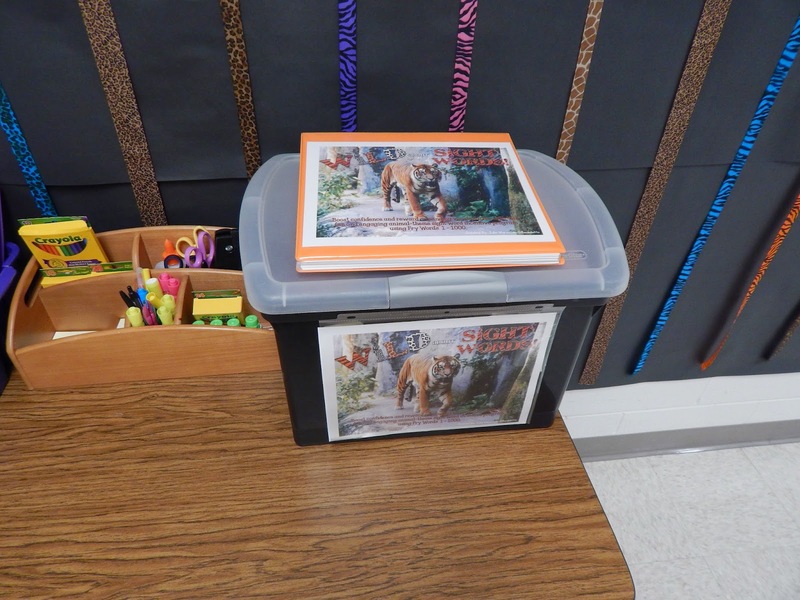 The orange binder on top is for the kids to hold and read their leveled lists of words. 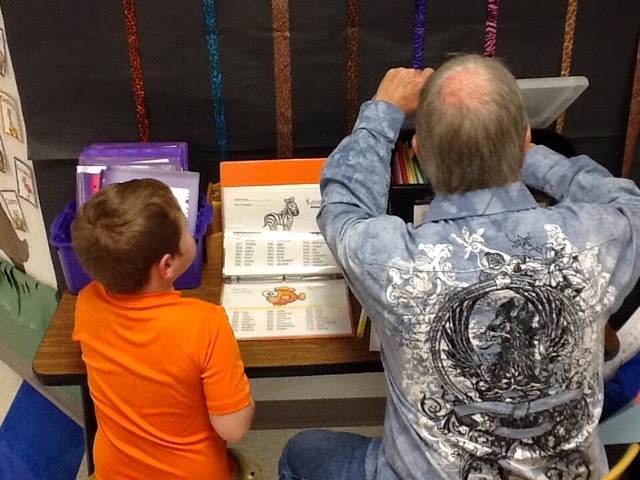 Today, My little was so excited to sit out with Mr. Smith and read his Level 22 word list....He passed!!! AND, a very special award is sent home to celebrate the success with mom and dad! 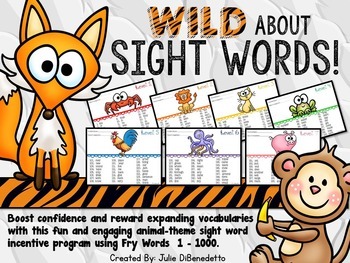 For more details on the Wild About Sight Words Incentive Program, click here or on the image below. 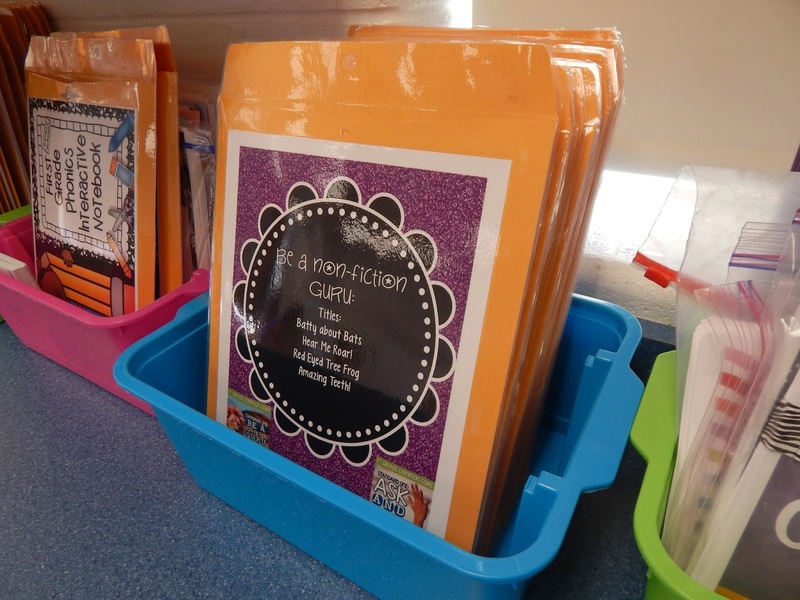 I have been using a ton of Trade Books to bring in Sophisticated Words as well as a mix of non-fiction Close Reading materials to help me achieve that goal. 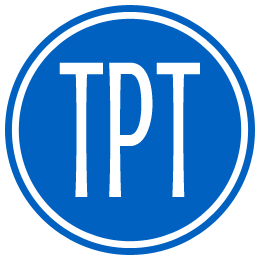 Again, I have taken all the TPT products I have purchased and organized them in manilla folders. 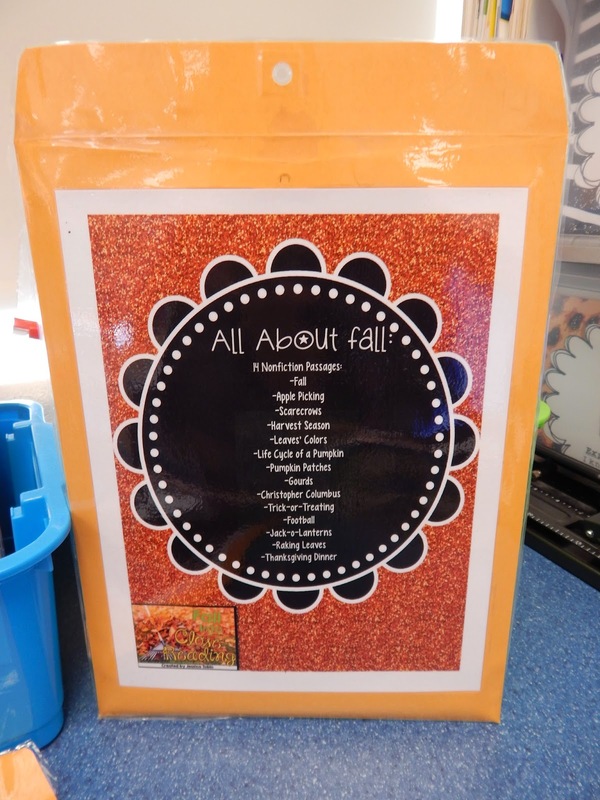 For example, this is Jessica's FALL Pack and I think I have used just about every one! 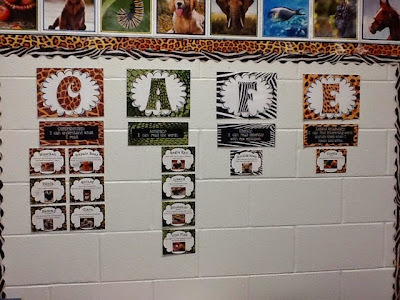 If you are using CAFE, this is a perfect anchor for the "E" Expanding Vocabulary! 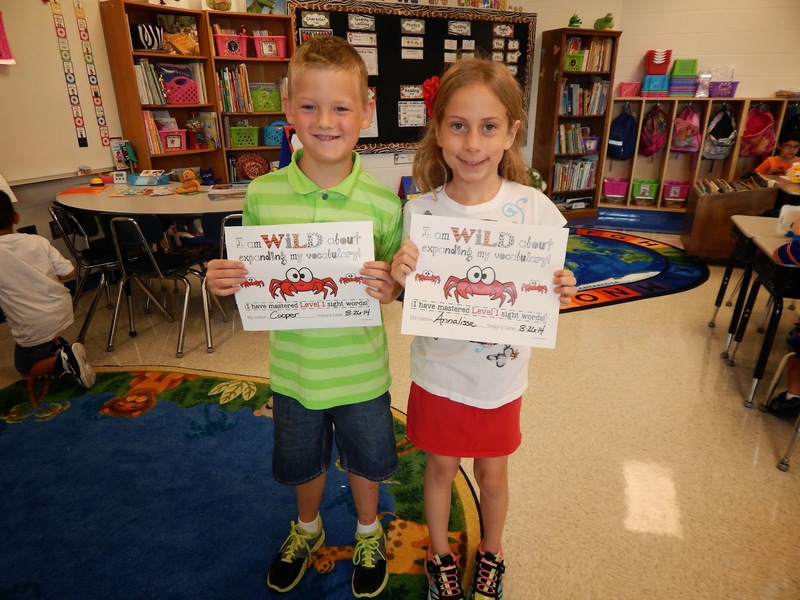 Here is our Vocabulary Critter this week! 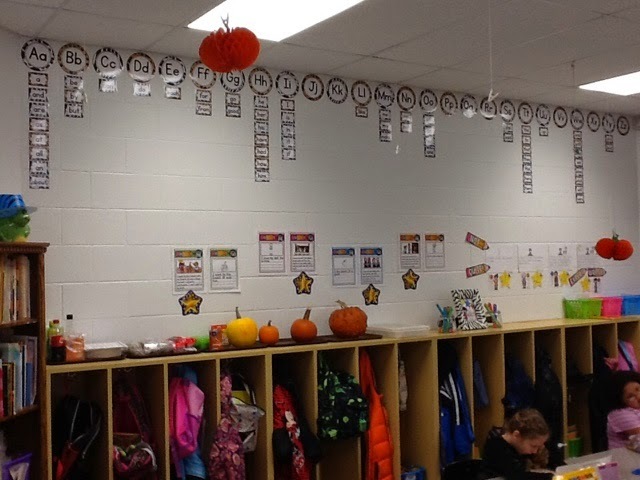 New and Interesting Words are always added to a separate word wall. 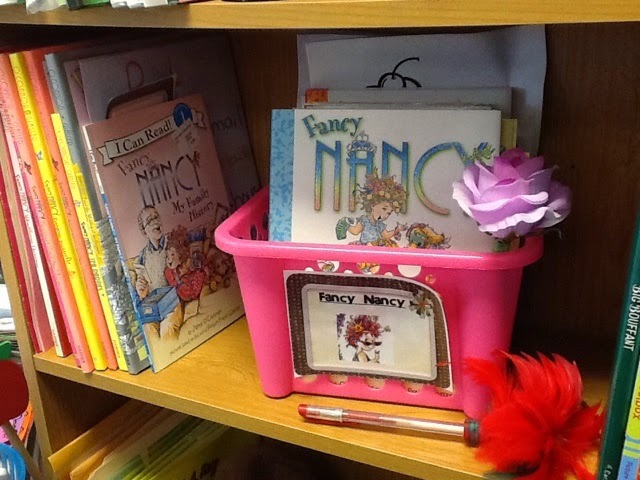 We also have created a FANCY WORD WALL just for our "Fancy Nancy"story words! 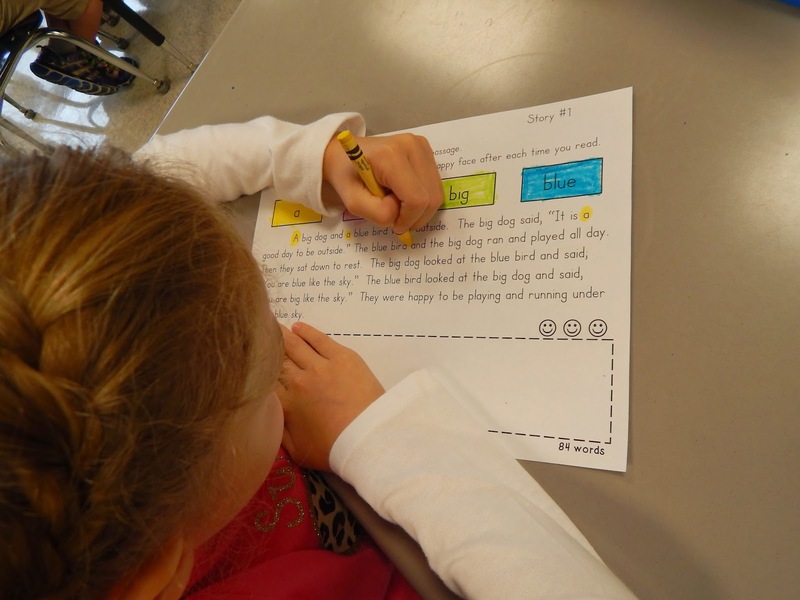 3 Tiers of Word Study, click here AND, a great article from Reading Rockets can be found here. 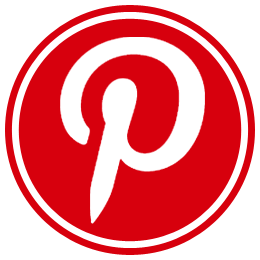 I have a special page in my weekly lesson plans that has links to every AMAZING product shared in this post as well as other favorites that I am currently using. Click here to download. 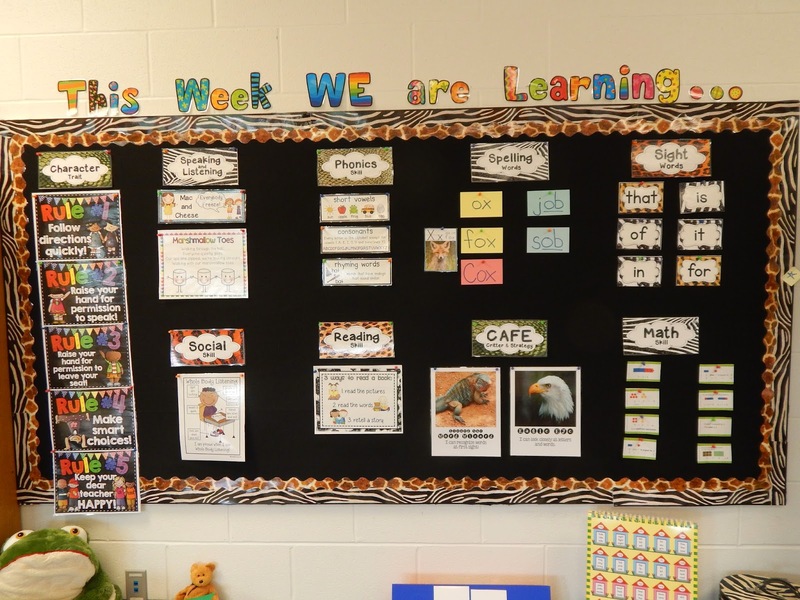 This year I am recording & keeping track of weekly progress with this weekly curriculum calendar which you can take a peek at here! 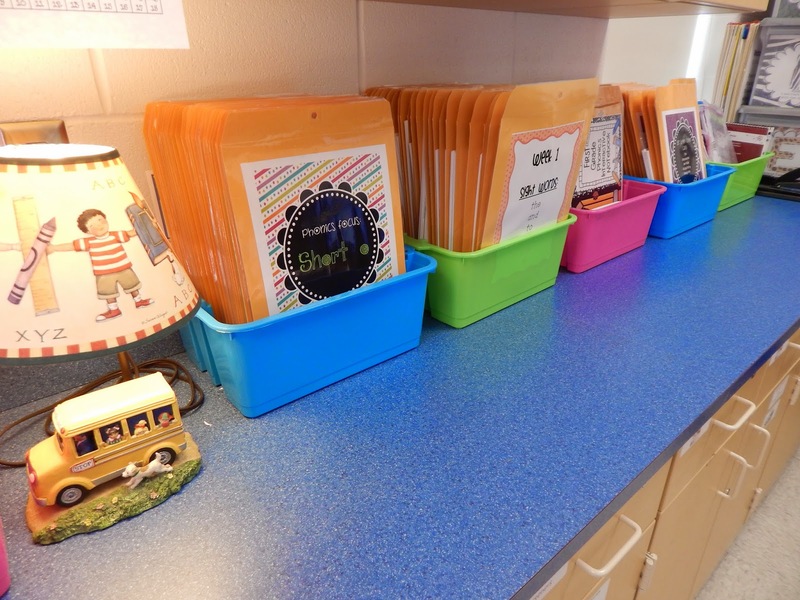 The organization of your classroom and materials makes my heart sing. I aspire to have such organization, and completing it will make me super happy! I love your blog! 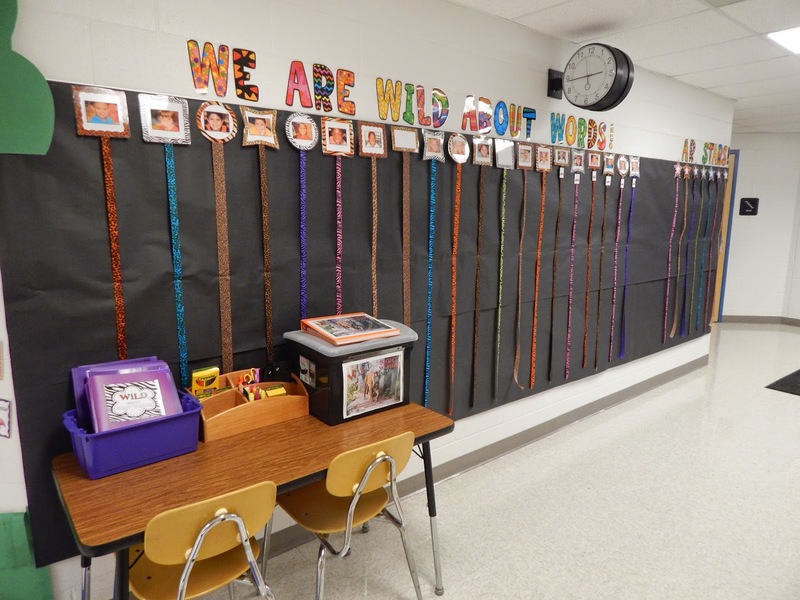 I have enjoyed taking a peek into your classroom! I was looking for 3rd and 4th quarter curriculum guide. Can I find it somewhere on your blog? I'd love to check it out!